Welcome to All Natural Savings! 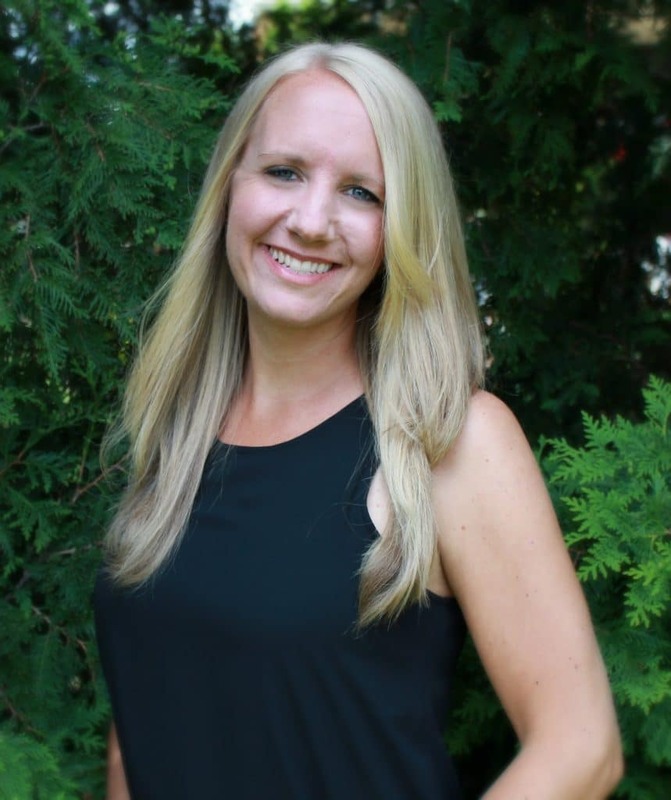 I’m Bethany and I started this natural and organic coupons and deals site in May of 2013. Actually it started out as a way to share my health struggles, natural approaches and healthy eating tips. However, I quickly saw that there was a need for a site that helped people actually afford natural and organic foods. I knew the struggle of needing to eat healthy, but having it take a huge toll on our budget. So, All Natural Savings was born. My goal with All Natural Savings is to provide you with multiple ways to save on eating healthy including daily organic coupons, store deals and online deals. I take it a step further, though and personally visit popular stores like Target, Trader Joe’s, Whole Foods, Costco, Aldi and others and hand pick the best deals to post as well as offer price comparisons between these stores so you can make the best choice for your dollar. When I began using coupons, price comparing and taking advantage of online organic deals, I noticed a huge savings in our grocery bill, more than 50% off what we were previously paying! All of the work is done for you, just visit All Natural Savings often (I post many times each day) and I promise you’ll start noticing a shrinking organic grocery bill. Printable Coupons: Every day I search the web for the latest and best natural and organic coupons and post them as soon as I find them. You’ll also find a weekly roundup of the best current natural and organic coupons posted every week. This is a must read and will keep you up to date on the latest savings. As often as possible, I will try to find the current prices on products with coupons, so you know where to get the most bang for your “coupon.” Just click the Organic Coupons tab to print the newest coupons. Print over 80 Natural and Organic Coupons Right Now HERE. Online Organic Deals: Often times, you can get better deals on items you purchase frequently online. I search out the best online deals and post them immediately. Check back frequently as these go quickly! Just click the Online Deals tab to start saving. Organic Store Deals: I check out all the ads to the most popular stores including Walmart, Target, Trader Joe’s, Whole Foods and other stores and match the best sale products up with any current coupons available. I also walk aisle by aisle through most of these stores to report back to you the best unadvertised sale prices. Just simply click on the Store Deals tab and choose your store to check out the latest deals and to print the matching coupons directly from my site. For other store deals like Big Lots (yes they sell organic products! ), Walmart, CVS, Walgreens, Costco, Babies R Us, Rite Aid and more stores, hover over the Store Matchups tab and click Other Store Deals. Organic FREEBIES: You’d be surprised at the number of FREE samples, coupons, full size products, magazine subscriptions and more that you can grab that are actually healthy for you. I keep a close eye out for these deals and post them as soon as they’re available. Organic Price Comparison: I offer up to date store price comparisons on staples like organic meats, produce and pantry items as well as popular health products like supplements, and more. When you know where to find the best prices, this can make a big impact on your budget. Organic Living: In addition to the site being packed with natural and organic savings, you’ll also find loads of information under the Natural Health tab from healthy recipes to organic reviews. You’ll also find a section called “Simple Swaps.” This is a series designed to help you transition to a healthy lifestyle easily. Commit to one “Simple Swap” per week and you’ll be on your way to healthy living in no time! Just check out the Organic Living tab for more information. The best place to start your journey toward saving tons on your grocery bill (we’re talking 50% or more), is the New to Couponing article which will walk you step by step toward huge savings. 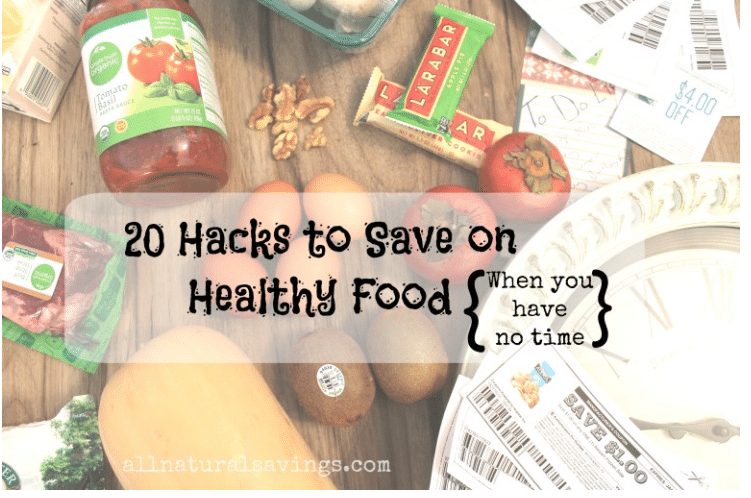 Also, check out my 20 Hacks for Saving on Healthy Food when you have no time. You can also check out more articles on how to coupon, here. Then be sure to follow me on Facebook or Twitter to stay in the loop. There are a lot of really great deals every day that you won’t want to miss! My name is Bethany. I love the Lord, my husband and my sweet son and daughter more than anything. I also love to eat healthy, find great deals and save lots of money! I admit, I sort of get a rush when I find a great deal! It’s so exciting for me to share with you the best deals that I find. I also enjoy sharing natural health tips I’ve learned through my health struggles. I was diagnosed with an autoimmune disease years ago, and have been able to manage it through diet and healthy living. I hope that my experience can help you or someone you know dealing with health issues. I value feedback, so please, click the Contact tab and send me an email with any questions, concerns or really great deal stories (I love those!) If you’re interested in a review or advertising with All Natural Savings, please visit this page. Thanks SO much for choosing to visit All Natural Savings! Pingback: Is Purchasing Natural Well Worth It? | GLBTQ News, Personals, Conversation & More! You rock! Love the site!!! I too love the Lord and have an autoimmune, and try to eat paleontology 98% of the time. Awesome! Thanks Julie, glad to have you here! Be sure to join our Facebook group https://www.facebook.com/groups/492033104299224/ and sign up for free daily updates if you’re interested! http://www.feedblitz.com/f/?Sub=949567&cids=1 Let me know if I can help in any way to save on your Paleo diet. I try to post these types of deals as often as they are available! Pingback: Weightloss4longerlife» » Is Buying Organic Really Worth It?